Classic Craftsman style home, completely renovated in 2007. A wide verandah stretches across the entrance with a generous foyer. Beautifully bright and spacious throughout. A perfect blend of original character and modern features. Oak hardwood and Fir floors. Original leaded windows in principal rooms; new windows elsewhere. 10 skylights in all. Generous open design offers a stunning kitchen with granite counters, Shaker-style maple custom cabinets, professional grade SS Jade Range, and large island with deep prep sink. Family room adjacent to kitchen. Built-in buffet and cabinetry and French Doors to sundeck in dining room. Guest room with 3-pc bath on main floor. Master bedroom with deluxe ensuite and studio/office upstairs (could easily become 2nd bedroom and nursery plus den). Vaulted ceilings. Lower level adds another bedroom, den, bath, laundry and storage. 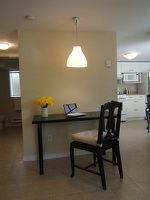 Front garden terrace leads to licensed 1 bedroom suite with large windows, independent heat/hot water, full bath, and 6 appliances. Wonderful attention to detail throughout. Beautifully mature landscaped garden. 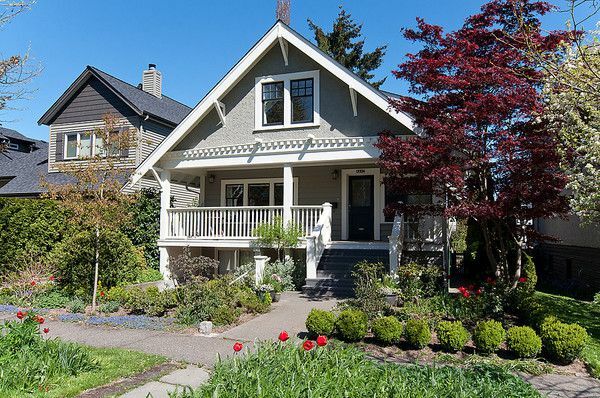 A gem close to 10th Avenue shops, UBC and excellent schools. 42 x 122' private property on a quiet street in the heart of Point Grey.